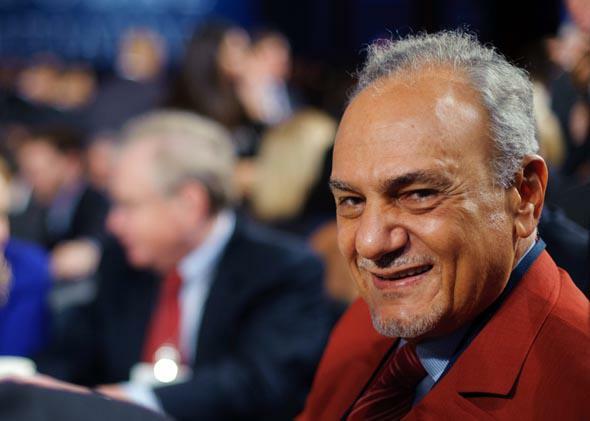 Turki Bin Faisal Al Saud interview: Saudi Arabia’s former chief of intelligence on the kingdom’s disappointment in Barack Obama. Prince Turki Bin Faisal Al Saud, former Saudi ambassador to the U.S.
Lally Weymouth: Who made the decision to turn down the U.N. Security Council seat? Prince Turki Bin Faisal Al Saud: It is always in the end the king who makes the decision. But it wasn’t a whimsical decision. Nor was it, as some newspapers here have described it, done in a fit of pique. It was a studied and considered decision. The kingdom conducted a very high-level campaign for the seat, and many people were surprised by the decision to turn it down. Some governments take decisions that not everybody knows about it. My understanding is that [the decision was based on] the situation in the Security Council, particularly on the Syrian issue, but not just on that. You had also the issue of nuclear nonproliferation .. and then you have the issue of Palestine, which has been with us since 1947. These three issues culminated in the decision where the kingdom felt that by not taking the seat, it would make the point to the Security Council that there is a need to fix it. Do you think the decision was building for a long time? Were President Obama’s decision not to act on Syria and the United Nations Security Council decision to pass a weak resolution on Syria the last straws? It was based on U.N. Security Council decisions, especially the one on the issue of chemical weapons removal. The fact that it had no enforcement powers? Not only that—the fact that even if it had enforcement powers, it would only remove the chemical weapons. But [Syrian President] Bashar al-Assad can continue to kill his people using aircraft, artillery, scud missiles, and other lethal means. This also followed the Chinese and Russian veto of the resolution that would have put in place an interim government composed of all the factions in Syria—that was put in front of the Security Council a year and a half ago by the Arab League. What do you and your country think is the best outcome in Syria? The best outcome is to stop the killing. We had a proposal, put forth by our foreign minister, that you have to level the playing field. And that means Bashar’s military superiority has to be checked by giving the opposition the means to defend themselves. You’re not talking about sending troops on the ground. Over the past two and half years, if anti-tank, anti-aircraft defensive weapons had been distributed to the opposition—and not all the opposition, [but] the opposition that is for an inclusive Syria—then they would have been able to checkmate the military superiority of Bashar al-Assad and force him to come to the negotiating table. Unfortunately, that did not happen. While Europe and America continued to deny the opposition the means to defend against Bashar’s lethal weapons, the Russians and the Iranians continued to supply Bashar with whatever he needed. So it’s up to the United States and the Europeans to arm the opposition? Absolutely. The Europeans put an embargo on arms to Syria. They could see … that that embargo wasn’t affecting Assad but it was definitely denying his opponents … weapons. It took the Europeans two and a half years to change their view and finally say “OK, we can afford to sell these weapons to the opposition.” But none of these countries did. The Americans have not only not sold them, but they have declared they have no intention of providing these weapons to the opposition. So how can you level the playing ground if one side is continually supplied with what it needs by the Russians and the Iranians, and the other side is continually denied those things? Do you think your country will sit by? My country has been trying to push not just the United States but the Europeans as well. Do you feel Saudi explanations fall on deaf ears with the Obama administration? Every day there are more than 50 to 100 people killed in Syria. And the world sits back and watches. Do you feel President Obama just doesn’t get it? I don’t know if he gets it or not. But I think the world community is definitely at fault here. The Russians because they are supporting Bashar and allowing him to do the killing. The Chinese because they have vetoed any measures in the United Nations to prevent him from doing that. The Europeans for not supplying the opposition with weapons. The United States for continually not supplying the opposition with what they need. It’s a worldwide apathy—a criminally negligent attitude toward the Syrian people. So what do you think will happen in Syria? They are going to continue the killing. And Assad will stay in power as things stand now? As things stand now, Bashar al-Assad is under the protection of the Security Council because of the chemical weapons resolution. And [U.S.] Secretary [of State John] Kerry is saying that Bashar al-Assad has to stay in power until the chemical weapons are removed and everybody is saying these weapons aren’t going to be removed until next year. So you can imagine the public opinion throughout the Muslim world, seeing this tragedy happening and nobody willing to come forward. How do you see the situation in Iran? When President [Hassan] Rouhani was elected, King Abdullah sent him a note of congratulations and expressed the wish for a fruitful relationship with Iran, and Rouhani responded in kind. Since then, he has made several statements about how he would like to see improved relations with Saudi Arabia. Under [former Iranian president Mahmoud] Ahmadinejad, there was a very strained relationship. The king during those years publicly called on Iran not to interfere in Arab affairs. As you can see from Lebanon to Syria, to Iraq to Bahrain, there is a chain of actions taken by Iran to interfere in Arab affairs. The other aspect is the issue of nuclear nonproliferation. Saudi Arabia has always been consistently supportive of the “P5+1” positions at the United Nations against Iran—the sanctions, etc. The kingdom’s position is that … we need to have a United Nations Security Council statement establishing a zone free of weapons of mass destruction. That statement should also include that the five permanent members will guarantee a nuclear security umbrella for the members of that zone, like America does for Germany and Japan. The other guarantee that they have to provide is that they will sanction anybody in the zone who is seen to be doing something to develop a weapon of mass destruction. But the problem right now is that Iran is developing a nuclear weapon. Don’t forget there is another country in the area that already has a nuclear weapon and that is Israel. Aren’t you worried about Iran producing a nuclear weapon? Is Rouhani taking the West for a ride? It’s too early to tell. He’s very clever. Being able to engage with Iran is a good thing. But his sweet words need to be translated into action. Would Saudi Arabia consider becoming a nuclear power? I suggested two years ago that the [Gulf Cooperation Council] countries should consider seriously all options, including acquiring nuclear weapons if Iran acquires nuclear weapons. Turkey would develop nuclear capabilities if Iran goes nuclear. That would really change the region. It will make it even more radioactive and dangerous. It is a doomsday option. How do you feel about Secretary Kerry’s talks with the Palestinians? What we hear from the Palestinian negotiators is that the talks are substantive. Palestine is one of the issues mentioned by Saudi Arabia as a reason for turning down the U.N. Security Council seat, meaning the kingdom feels the U.N. should do what exactly? The U.N. should implement the resolutions passed by the Security Council—242 and 338. And the roadblock standing in the way of implementation is the United States? The U.S. keeps vetoing whatever follow-up resolutions can be put in place for 242. This was one of the complaints by Saudi Arabia. This veto system allows Russia on one side and the United States on the other to do whatever they like. Russia created the chemical weapons resolution that has allowed Assad to stay in power. And they continue to supply him with weapons, and they don’t get sanctioned. In this country, there seems to be a big anti-foreign-entanglement movement. That is correct and who can blame you after Iraq and Afghanistan? In Syria, I said from the beginning something should have been done to help the opposition defend against Bashar al-Assad’s lethal weapons. There would not have been need for more involvement than simply supplying the opposition with those defensive weapons. My concern is for when this conflict spills over to Lebanon or Jordan or Turkey or Iraq—imagine what resources you will have to deploy to prevent an all-out conflagration. You see it spilling over to Lebanon and Iraq? Of course. And Israel. It’s not going to remain confined to Syria. Hezbollah is already fighting in Syria. You have al-Qaida and divisions thereof. There are volunteers from all over the world. That’s not going to remain local to Syria if the fighting continues. The priority there is to stop the fighting by any means. But the world is not doing that. The accusation is that Saudi Arabia has been arming extreme groups. That is an accusation that is totally unfounded. The kingdom was coordinating with the U.S. and our regional allies to supply the groups that are for an inclusive Syria. Definitely we are not giving weapons to extremists. But there’s not enough aid. No. America has been very generous with night-vision goggles, with protective gear, with training. But not with arms. Because they think it will turn into another Afghanistan. Do you see Syria splitting up? I hope it doesn’t split up. The Alawites are not confined to Syria. You have Kurds in Turkey, Iran and Iraq. … There will be this incentive to reach out to fellow ethnics—and then it will be even harder to contain. Better to stop the fighting now. Jordan is already dealing with the fallout. They have already a million refugees from Syria, and Jordan is not a rich country. And Jordan is still supporting Iraqi refugees. Do you think it was a mistake for the U.S. to support Iraqi Prime Minister [Nouri al-]Maliki? I am convinced of that. Since he became prime minister, Maliki has pushed aside the Sunnis from any meaningful positions in Iraq. When he came up for re-election last time, it was an Iranian general, Qassem Suleimani, who came from Tehran to Baghdad to pressure the other Shiite parties in Iraq to join Maliki’s coalition. Because of Iran’s pressure, Maliki got a majority in the parliament. The irony is that Maliki is supported equally by the United States and Iran. It’s as if there are blinders as far as Maliki is concerned. There are more people dying in Iraq today than there were at the height of the insurgency in 2006. He is doing nothing for Iraq. There is no improvement in the security situation or the economy. Obama said the use of chemical weapons would be a red line and then Syria used chemical weapons, the president brought the issue to Congress, and Russia eventually bailed him out. Does this make the U.S. look weak? Absolutely. Public opinion throughout the area is that the United States is not playing the role it should play. Do you think Russia is filling the gap in the Middle East? I don’t think Russia will ever fill the gap. It’s costing the Russians the rest of the Muslim world. They are fighting on the wrong side. How do you see the Egyptian situation? I think it will continue to be uncertain. They have a road map and have put a timeline on it. They’ve finished writing the [new] constitution, which will be followed by parliamentary and presidential elections. If they succeed in that road map, that will put some stability in Egypt. I think they have reached out to the Muslim Brotherhood. Isn’t former Egyptian president Mohammed Morsi going on trial? Yes, but they aim to reach out to the membership of the Muslim Brotherhood rather than the leadership. The Muslim Brotherhood has gone underground and will remain a subversive anti-government opposition in hiding. That’s why the situation will remain uncertain. Do you think part of the kingdom’s anger with the United States went back to 2011, when the U.S. allowed former Egyptian president [Hosni] Mubarak to be ousted so quickly? I think there was some disappointment that the United States did not stand by someone who for 30 years was a very staunch ally of the United States. People say the moderate opposition in Syria is weak. What’s your assessment? They haven’t been given the means to be strong. Imagine if [opposition leader] General [Salim] Idris had been given the means of defending the Syrian people against the aircraft and tanks Bashar is wielding against them—everybody would be his follower. But he didn’t have the means so people turn to whoever can defend them. They turn to the groups who can get arms, the extremist groups? They are not all extreme. There are others that are efficient and are more willing to die for the cause. This is the fault of the Europeans and Americans. No, it’s not too late. The killing is still continuing. You need to provide the people with arms to defend themselves. Is there enough of a moderate opposition? Would you be in favor of military action against Iran? No, the consequences would be catastrophic. You’re not going to stop Iran from developing its nuclear capabilities. Military action would incentivize the Iranian people to develop a nuclear deterrent. If you hit them, they will do their utmost to get one. If you don’t, you can still work diplomatically through the zone free of weapons of mass destruction. But Israel won’t comply with the weapons-free zone. So what? If the [permanent five members] of the [U.N. Security Council] put out a statement with the guarantees I mentioned, then let Israel and Iran worry about how to fit in. Why should we care about what Israel wants or doesn’t want? We should get them incentivized. There is great disappointment. Syria is definitely an issue where American policy has been wrong. That’s my opinion. That is also the opinion of much of the public in Arab countries. How you fix that is by showing that you can correct it. If Obama supports Kerry on the Palestinian issue and we get an agreement between Israel and Palestine—that will be something for President Obama to take credit for. If he can convince the Iranians to stop building a nuclear weapon, that will be something he can show the rest of us. The Palestinian issue is the core issue. But if you solved it today, it would not stop the Iranians from building a bomb. What it would do is decrease what Iran can do to interfere in Arab affairs because Iran portrays itself as the liberator of the Palestinians and the Syrians. That’s where Russia and China and Iran are not just cynical in how they are supporting Assad but downright insidious.